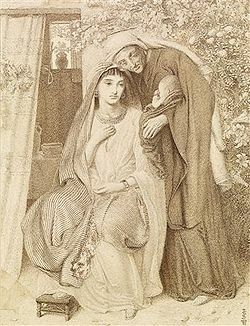 Simeon Solomon, Ruth, Naomi and Obed, 1860. In the Tanakh, Obed (Hebrew: עוֹבֵד, ‘Ōḇêḏ, "worshipper") was a son of Boaz and Ruth, the father of Jesse, and the grandfather of David. He is named as one of Jesus' ancestors in the genealogies recorded in the Gospel of Matthew and the Gospel of Luke.